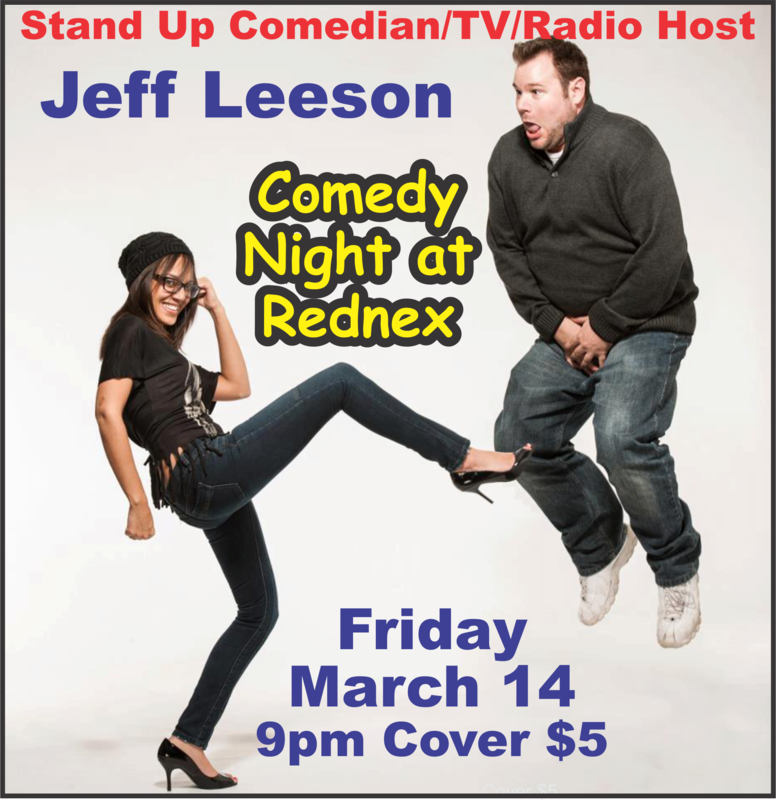 Comedian Jeff Leeson Live at Rednex Friday March 14th. Cover is only $5 at the door. His website is http://www.jeffleesoncomedy.com/ and there is a sample video.